Pampellone – This is the classic St. Tropez beach that has sparked the imagination of travellers and glamorous jet setters since Brigitte Bardot donned that first bikini and sultry pout in the 1950s. Visitors to St. Tropez flock to Pampellone in record numbers to see and be seen, mostly at the exclusive beach clubs lining the shores. While daily charges at these clubs don’t come cheap–there are costs associated with everything from loungers to umbrellas–the excess and glamour is quintessential St. Tropez. Choices for beach clubs range from the quietly classy Club 55 to celeb magnet Nikki Beach, and reservations are always recommended. The oldest beach club in the area is Tahiti Beach, while a good choice for families is Les Jumeaux (aside from a children’s lunch menu this club also boasts a play area to keep your little ones entertained between dips). If you’re looking for good food consider Nioulargo – Kai Largo, which boasts two types of restaurants, while Moorea is a suitable choice for those hoping to find some happy go lucky fun. 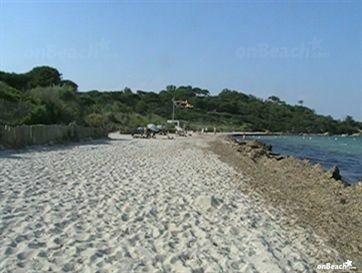 Plage des Salins – Accessible by car along the Route des Salins or by foot on Sentier du Littoral, this beach boasts sandy white sand and a much more laid back environment than Pampellone. The beach’s eponymous water-side restaurant is not to be missed for those who enjoy fresh seafood and local stylings. Plage de Graniers – If you’re looking to escape the hustle and bustle of the heavily populated Pampelonne then consider taking a short walk along the Sentier du Littoral to this beach. 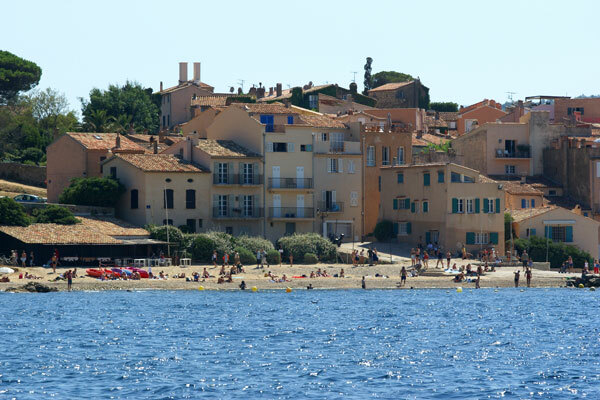 Nestled in tree-dotted hills Plage de Graniers is free and quite pretty. 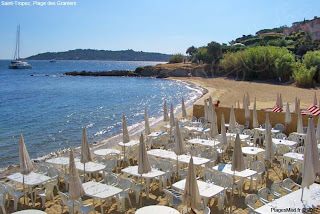 Try La Plage des Graniers for a lunch of delicious fresh fish before settling back on the sand for a second round of sun worshipping. Plages La Ponche, La Glaye, and de la Fontanette – Perhaps not ideal for a full day at the beach these three smaller beaches are great for a quick dip before you return to your luxury villa rental or hotel. They’re located along the oldest part of the village. Plage de la Bouillabaisse – This beach is located just beyond the village proper and is popular for its location, great views (a look across the bay will give you a beautiful view of the Maures mountains), and being less populated than Pampellone. 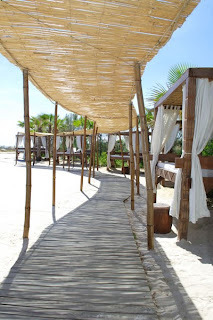 If beach clubs are your thing you may want to check out the trendy Pearl Beach. 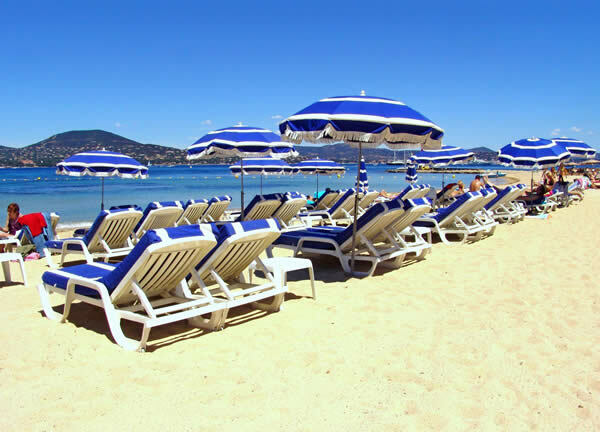 If you prefer privacy with your sunbathing then perhaps the best option is a St. Tropez luxury villa rental where you can enjoy time by your very own pool and only visit the beaches of St. Tropez when you wish. When options include gorgeous infinity pools with jaw-dropping views, like the pool at Villazzo’s VillaHotel Nathalie, how can you really go wrong? This entry was posted on Saturday, June 16th, 2012 at 7:14 pm	and is filed under Saint-Tropez Luxury Travel. You can follow any responses to this entry through the RSS 2.0 feed. You can leave a response, or trackback from your own site.